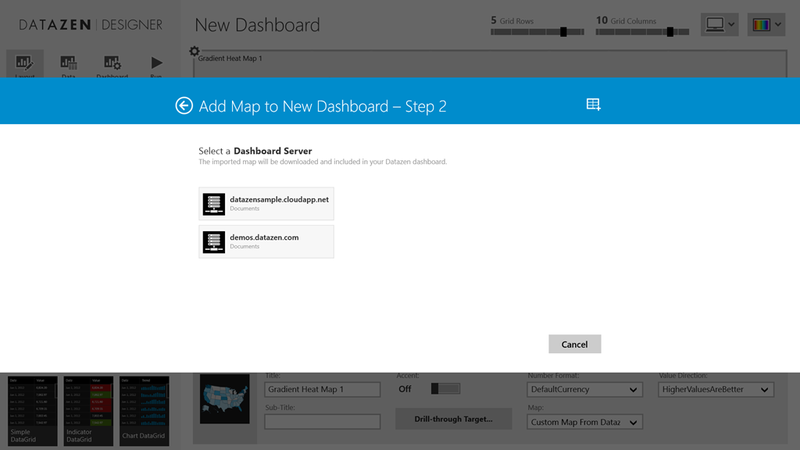 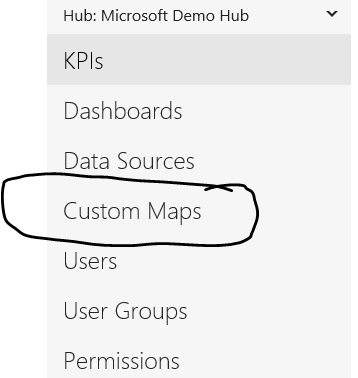 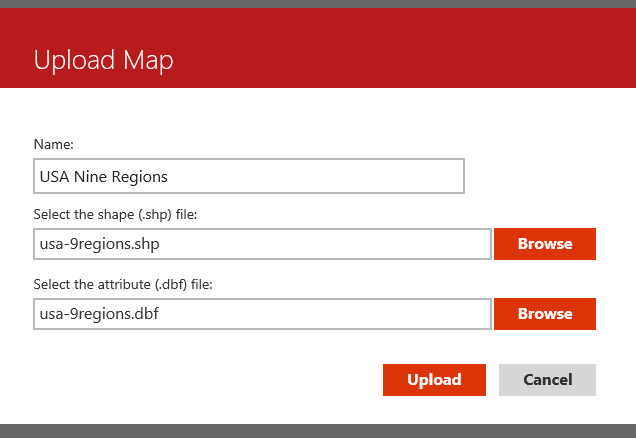 Once you’ve uploaded them, you’ll have access to them whenever you select any map object in your designer screen by selecting “Custom Map from Datazen Server” in the dropdown. 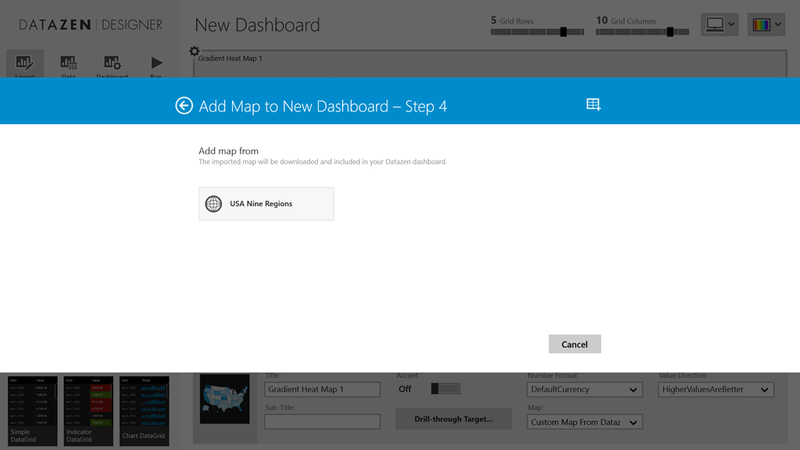 You’ll be prompted through a few screens to select the map you want to use. 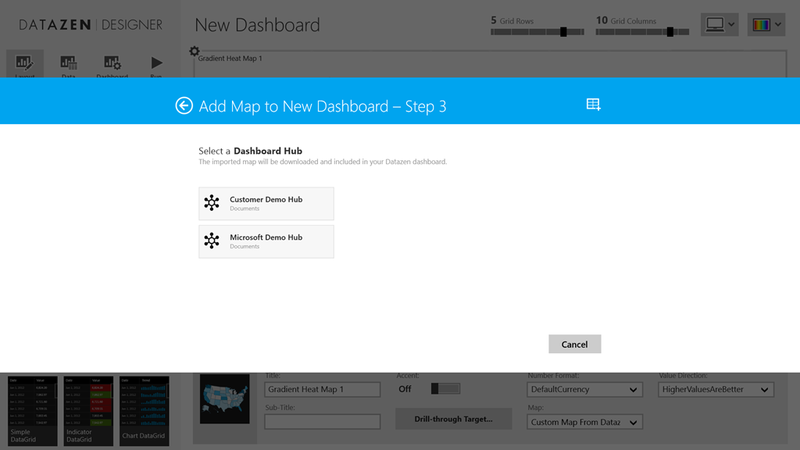 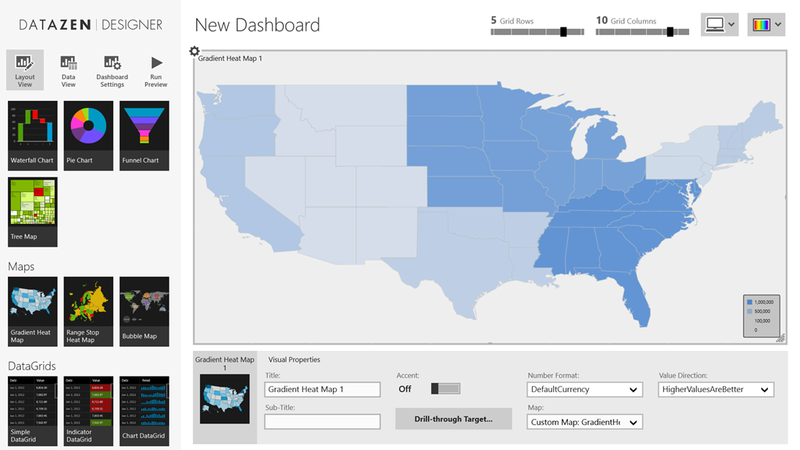 Now you have your new map in your dashboard!